Did you know the infamous blues and greens of peacock feathers belong only to the male peacock birds?! How unfair! 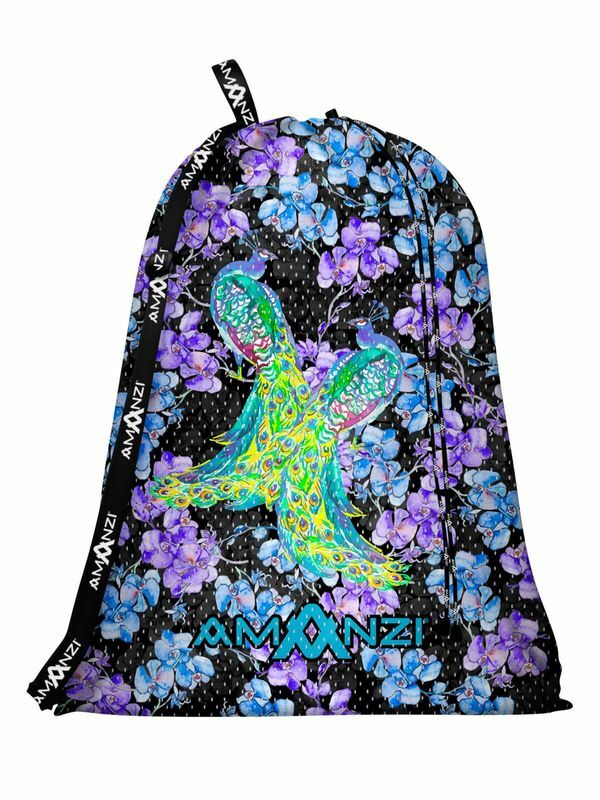 At AMANZI, we wanted to undo nature’s injustice by creating a mesh gear bag featuring all the lovely hues and feathers of male peacocks. After all, if a male bird can do it, we can do it too! Although peacocks aren’t exactly known for their swimming abilities, they are known for their confidence. Show off your fancy feathers with the Peacock Pride mesh gear bag.